Holly McCartney is heading to Hollywood to attend a ceremony where her deceased sister is up for a Best Supporting Actress award. Holly had a falling out with her sisters years ago and hasn’t actually spoken to her in a long time, so this whole event has been…well, emotional, to say the least. 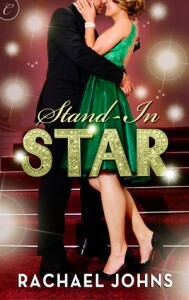 She’s met at the airport by a swarm of paparazzi, and Nate Devlin, a friend to Holly’s sister, swoops in to her rescue. Nate is prepared to loathe Holly. He was close with Daisy, Holly’s sis, and from hearing Daisy’s stories he’s expecting a tyrant to walk off the airplane. When a fragile, very human woman shows up instead he’s forced to check himself and his expectations. He offers her a place to stay out of the public eye until the awards show. During the time leading up to the aforementioned show, both Nate and Holly being to learn about other aspects of Daisy, and in turn begin to become pretty close friends. And of course friendship blossoms into a little something more, a little something more…serious, too. Both Holly and Nate question themselves and what they want out of their lives, and when they realize it likely involves them being together, it raises some pretty serious consequences: Holly lives on the other side of the world while Nate makes his living as a photographer in CA. This was a cute, feisty story. Ms. Johns does a good job weaving in some angst between the characters not only in how they interact with each other, but also the ghost of Holly’s sister. I don’t mean that literally, by the way. I’m kind of a sucker for Hollywood-set stories, so I found this story to be a fun, well-rounded one.